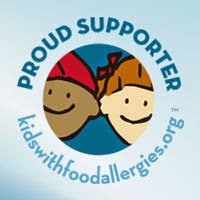 Most of you know that I have several food allergies. Well tonight it was cold outside so I thought I would do a little experimenting. I baked an acorn squash as noted on the directions, then took out the good pulp and put it in the food processor. Then I added some sour cream and shredded cheese. Pulsed it all up and it was sure creamy. Warmed it up a little and melted cheese on top. Was it yummy or what! This "soup" allowed me to be normal for a few minutes. Most canned soups have soy or wheat or a by product of the two in them. Yes it is frustrating, but I made something that I found out that I like. I just wanted to share my findings and encourage you all to experiment with the foods you eat. They may surprise you. This soup is something that I will be able to enjoy for a long time and all it took was experimentation. oooooo...that soups sounds yummy...I might just have to try that myself!! that sounds yummy :) sorry you have to deal with all that at such a young age. you deal with it very well and I admire you for that. I really need to adopt your attitude about my food issues! I'm getting better about not being upset about it and like you have been experimenting with foods. I wish it were a little more predictable for me, my issues are the kind that I can eat something fine one day and the next time be sick. Oh well, it could be SO much worse. My boss's little boy has a ton of food allergies (soy is one), when I am getting discouraged I often think of him and remind myself that at least I had over 20 years of being able to eat without worry, he has to be aware of pretty much everything he eats and he is a happy little boy, helps put everything into proper perspective =).